​Help us keep our little blue bus running so that we can connect the people of Cape Town to Jesus! As we come within a few months of the annual Calvary Chapel Africa Missions Conference one of our desires is to see a greater number of local leaders from the various nations of Africa attend. It’s a great time of connection, investment and envisioning. 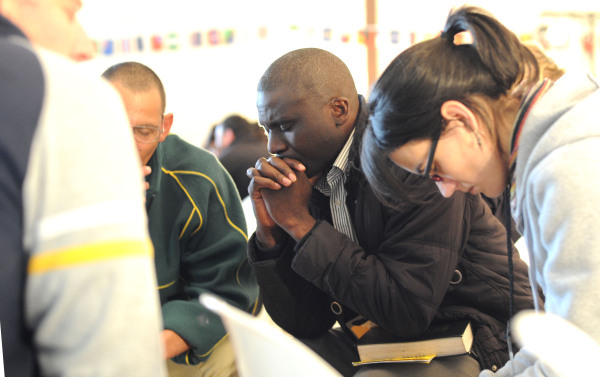 A time to as one pray through and determine what God desires to do across the continent. Ministry is about people and partnerships and through generosity we can commit to furthering the movement and establishing unity in Africa. This year’s conference will be held in Cape Town from September 26 - 29 with a number of local and international pastors speaking on discipleship. We are seeking to build financial partnerships locally and abroad to invest in the ministry through sending men to the conference to attend. It can be rather expensive to travel within Africa, especially from some of the smaller countries, and as a result a number of African pastors are unable to attend. A sponsorship for Pastors wishing to attend would normally include travel expenses (bus or plane tickets), conference fee, and accommodation before and after the conference (normally one or two days) and therefore costs in the region of R15 000 per person. The possibilities are clearly open and exciting to anticipate the future work of Calvary Chapel being set ablaze across this great land among some equally amazing people.